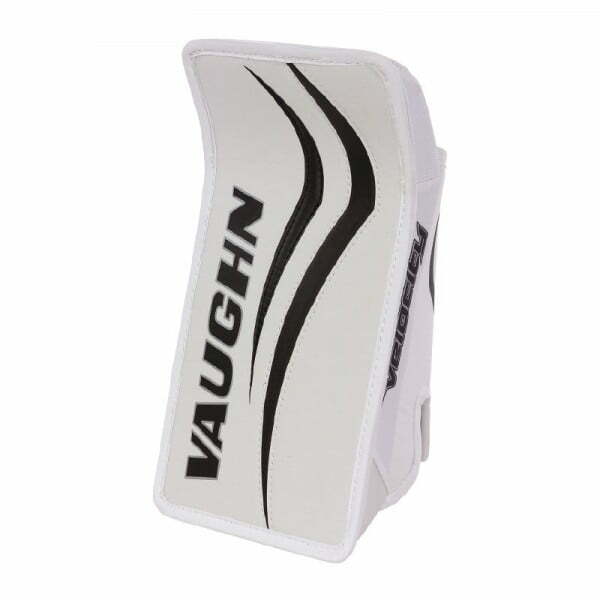 Vaughn Velocity V7 XF “Full Right” Youth Blocker | Sports Etc. The Velocity V7 youth goalie blocker is designed with the younger goaltender in mind. Lower hand position allows for easy stick pick-up and paddle down moves to the ice. Large top board curve gives added wrist movement and allows for greater mobility. Full thickness blocking surface along with molded plastic reinforced fingers and thumb for added protection. Sports Etc Performance To Value Rating– 8 out of 10. Perfect beginner blocker for a youth sized goaltender.